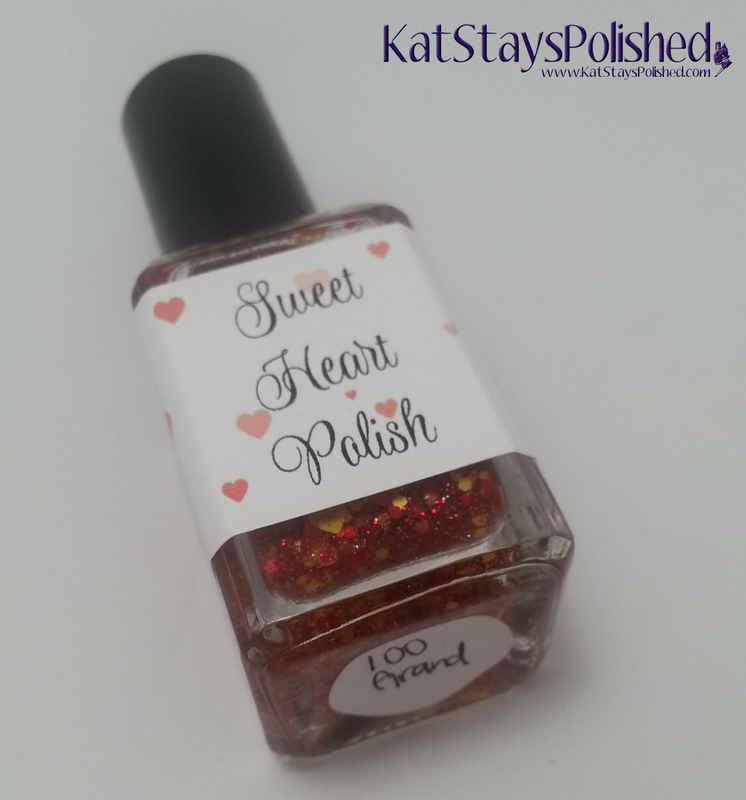 Today's prize polish is from Sweet Heart Polish. 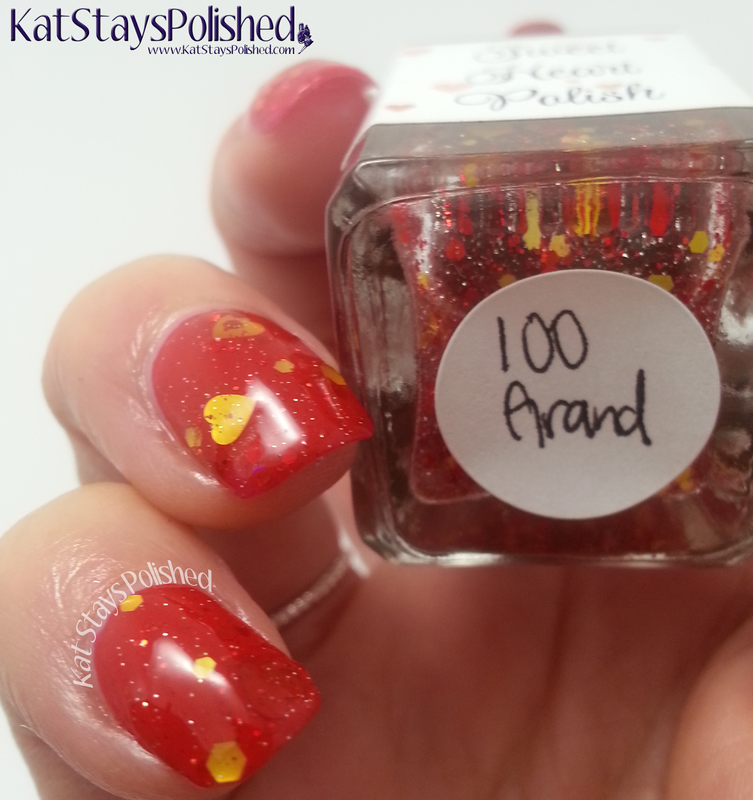 It's called 100 Grand and my friend Tabitha said it reminded her of Iron Man, haha! I used it over my favorite red polish, butter LONDON Pillar Box Red. You can't really see the red glitters on it, but I still love this combination a lot! 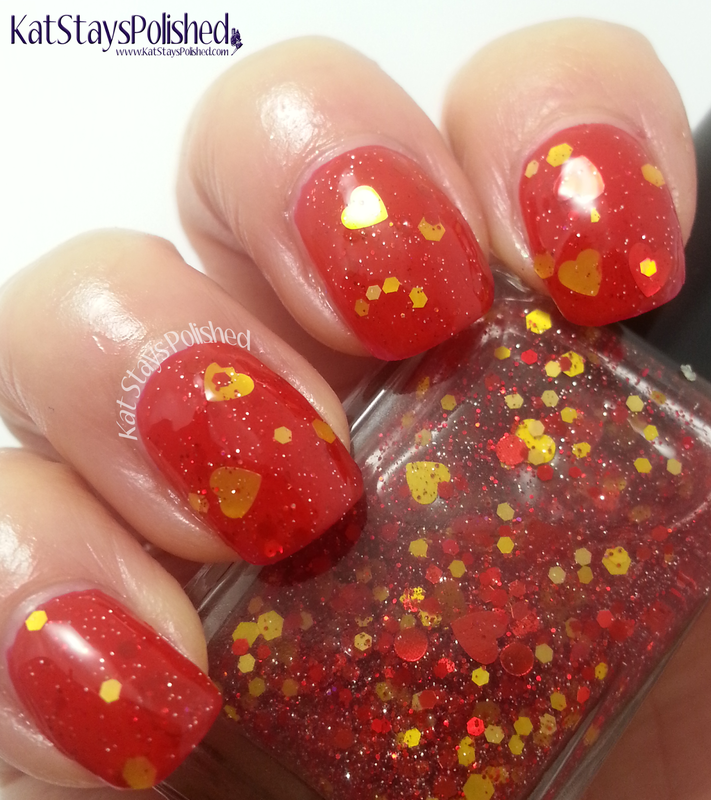 One of the main things I love about this glitter polish is that it has both red and gold heart shaped glitters. How sweet is that? What do ya think? Do you like the heart glitters as much as I do? It's just so adorable! The heart glitters totally add such a cute touch to this polish. I like it too.